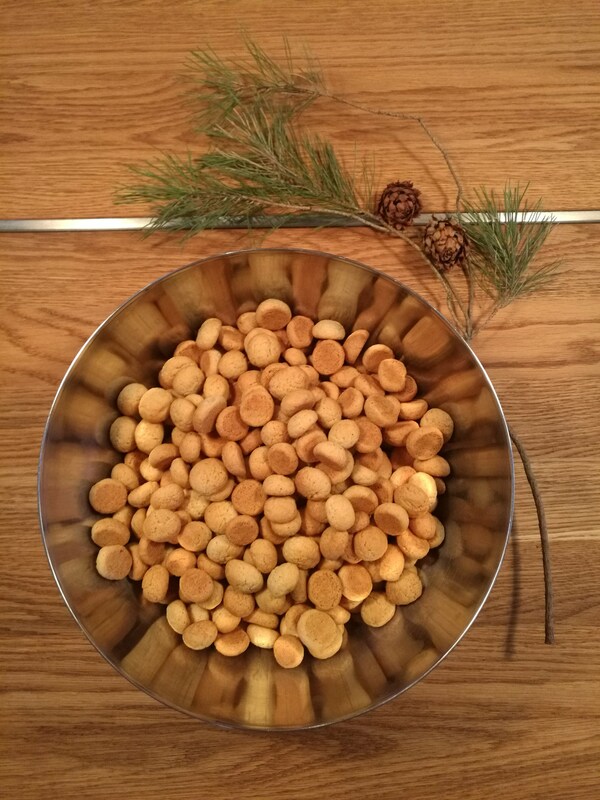 Peppernuts are the perfect Christmas cookie to make with children as they are very easy and the shaping works very well with small grabby hands. I know one of my friends had her two year old “help” when making a batch a few years ago. 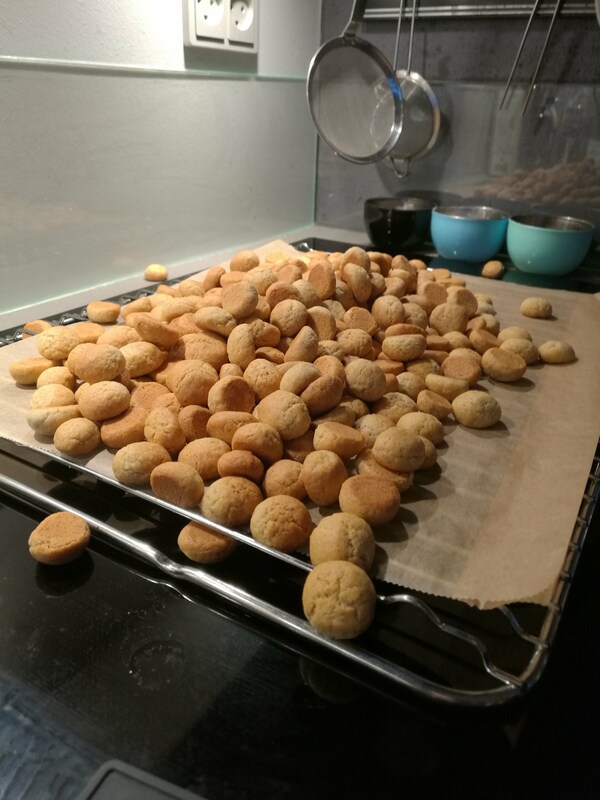 The cookies are probably one of the most commonly made type of Danish Christmas cookies, because they are so easy and because the ones you buy tend to be really borring. I have this recipe from my mother, but I don’t know where she has it from – it could be from her family or from a magazine. A traditional Danish (and German) Christmas cookie that dates back at least to the renaissance. This is not the old recipe though but the modern one we tend to bake for Christmas in my family. This is a large portion, but you can make a smaller portion if you really want to. Knead sugar and butter together. Mix the flour with the spices and baking soda. Add in the flour little by little till the dough combines into a thick slightly sticky dough. Normally uses all of the flour. Set the dough aside in the fridge until it is cold and firm – that should take at least an hour. Once the dough is firm and cold take it out of the fridge and preheat the oven to 200 C.
Then you divide it into smaller pieces and roll the dough into a sausage that is about 1 cm in diameter and cut 1 cm pieces of dough. Roll each piece into a small ball and place on a baking tray covered with baking paper. This is quite a large portion so you will fill quite a few trays with peppernuts. Bake each tray at 200 degrees Celsius for 6 to 8 minutes - or until they are golden around the edges. Why are they called Peppernuts you ask? In danish pepper was the catch all name for Asian spices, so it really just means spice-nuts. And the nuts part is defiantly just referring to the shape. We think they date back to the late medieval time/early renaissance. “Brunkager” dates back just as far. Both pebernødder and brunkager are among the few foods we still eat that dates back to the renaissance. Here is one of the recipes for pebernødder from 1731. We do not quite make them like this today, but it is actually pretty close. The spices changed a little and we added a raising agent – but otherwise it is the same cookie. 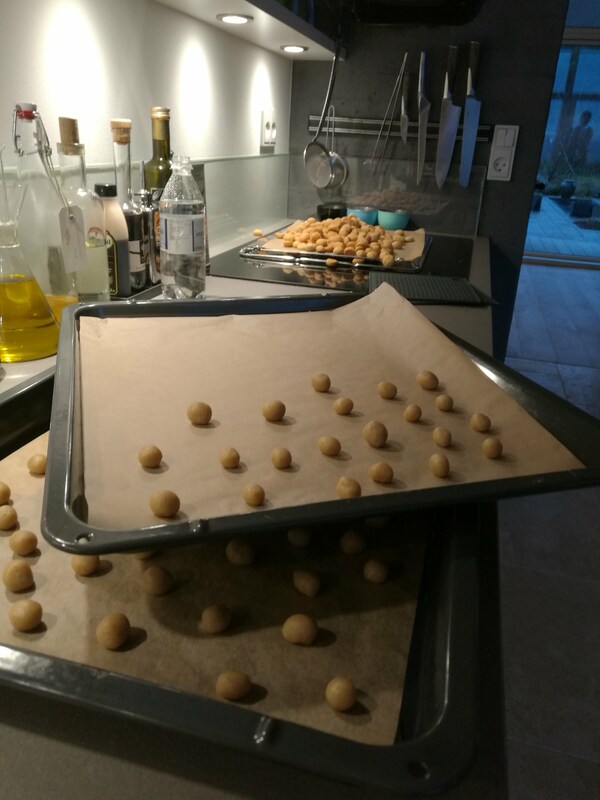 Read more about the history of pebbernødder @madamsif.dk where you can find an adapted version of the cookies that will work in the modern kitchen. Take one pound of brown sugar, one pound of wheat flour, five eggs, a weight (14,6 gram) of cinnamon, a weight of mace, half a weight of anise, a bit of pepper, three weights of sugar, two weights of grated lemon zest and mix it all together and bake it. 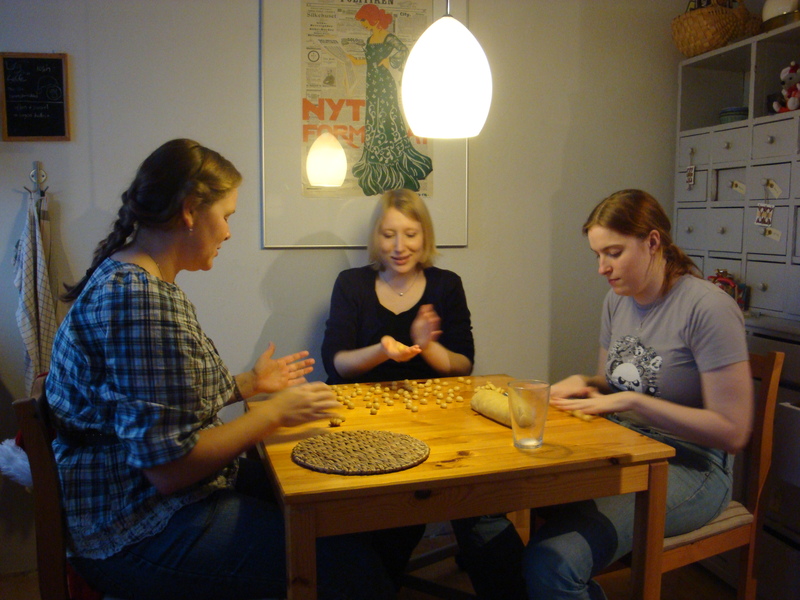 More about pebernødder can be found here, along with more recipes.